9iceunity » Forum | Hilarious! Gov. Kwankwaso of Kano Sweeps Off President Jonathan Feet After Visiting Kano! Hilarious! Gov. 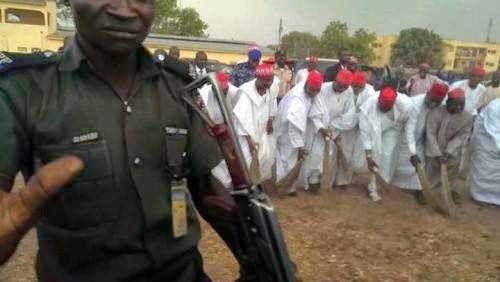 Kwankwaso of Kano Sweeps Off President Jonathan Feet After Visiting Kano! Kano Governor Had earlier said the president was not welcomed in Kano, Well the president visited the State this morning before jetting off to Ibadan, and after he left, the Governor and other APC members had to sweep off his feet from the state...lol..Politricks!